Firstly, I would take this opportunity to thank all my loyal readers for all the love and appreciation you guys have shown since my very first post. It has truly been an overwhelming experience so far. It’s coz of your continuous support and encouragement that in span of few months, I could come up with ten interesting short stories. Hence, I thought this is a perfect time to introduce my new “Blog Series”. Under this, the story would unfold in parts/series. My first story under Blog Series is titled ‘Awkward Silence’. Hope you guys enjoy it and shower your love and support just like you have been doing. Feel free to give your feedback on this new creative adventure. Feedback, suggestions are always welcome. Creative inputs will always be appreciated. Running late to board the flight, I wish I could jump the security, but had to go through the procedure. “Welcome on board Sir”, the air hostess greeted me warmly. Panting for breath I just nodded my head and acknowledged her greeting. I was probably the last one to board the fight because as soon as I entered, the aircraft door was closed. The air hostess guided me to my seat. “Wow! Aisle seat, fantastic!”, I said to myself. The day couldn’t have ended on better note than this. Placing my hand luggage in the upper cabin I sat down loosening my tie. Rather than listening to the in-flight announcements before the take-off, glancing from the window was a better alternative. Turning to my left, to look out, I saw Priya sitting next to me. I couldn’t believe my eyes. There was an awkward silence between us for a moment. The announcement, “……..Flying time between Mumbai and New York is 15 hours and 55 minutes”, made me re-think of flying. Travelling that long with such an awkward silence made me feel, I was actually travelling with excess baggage. “Old habits don’t die easily. You still run late everywhere”, remarked Priya. I knew exactly what she hinted at. “Well… I am certainly on time; Or else I wouldn’t have met you today”, trying to ease out the conversation, I tried playing it cool. There was a very conscious effort from both of us to be best at displaying our emotions. The words, the reaction, the body language and the reflexes all were thoroughly self monitored, self examined and self scrutinized before exhibiting. Neither of us wanted to display our vulnerability to the other. The flight took off from Mumbai. Seeing Priya restive, I said, “Indeed… Old habits don’t die easily. You still get jittery during take-offs!” “May be, but I try to work on them, than avoiding them”, slammed Priya. She could always communicate all in least possible words and over the years I had mastered the art of reading in-between the lines. We started our careers together from the same organization. We would spend hours talking with each other. With time we became the best of friends. She loved my humour and often called me ‘Mr. Google’, as she believed I had answers for everything. But this ‘Google’ had a heart and to top that an over conscious mind which never synced with each other. Most of my early life had gone in calling a truce between these warring enemies. Hence, Priya always pointed that my focus towards life was scattered. We were the best critics of each other. In fact, most of the “critical analysis” was my domain. Decoding her personality was always a challenge for me and never did I realize when this challenge made me fall for her. She refrained from doing the same with me. She asserted she couldn’t analyse people like I do. In saying this, I still wonder whether this was her confession or jibe at me. But then that’s vintage Priya! She believed in making people realize their mistakes rather than pointing it out to them; which I hated the most. Coz sometimes it’s too late to realize your mistake and you have lost every chance to undo the wrong. The seat belts signs were off. Looking from the corner of my eye I could see there was no wedding band on her finger. Posted in Avinash & Priya, Awkward Silence, Blog Series, Emotions, Empathize, Life Relationships, Love, Love Story, Romance, Soulmates.Tagged Awkward Silence, Blog Series, Empathize, Love, Love Story, Relationships, Unsaid Emotions. Excellent theme , Narration and the end ” No wedding Band”. What a genius thinker , Ameya. I am truly humble with your words of praise. Thanks for your continued love and unconditional support. Hey Ameya, Now u have mastered the art of an author. It’s so unfair to leave us with a cliffhanger. 😜😜 please post the part two as quickly as possible. Gr8 story. Abha. It’s always great to hear from you. Thank You so much for always appreciating my work. It’s very sweet of you to say this. Haha… You just summed up the real purpose of this new Blog Series. Building a little bit of suspense along with drama is always exciting and to leave the readers wanting for more is the real success of writer… Happy to know that you are excited for second part. Painting the characters to make it real by using words of black and white is truly an art. Glad to know you could connect with real life. Thanks for your appreciation Sir. Excellent writeup i enjoyed it in fact wanted to read more. It means a lot coming from u. I am happy to read the response and see the curiosity for the second part already. Keep showering your love and support as always. I am glad that you loved the plot. It’s always challenging to portray the unspoken emotions. Happy to know readers are able to connect with it. The story is quite fascinating and interesting. I could actually visualise the story. Thank you for writing such beautiful story eagerly waiting for the next part. Glad to know that you liked it and that you are excited for the next part. Thank You for going through the Blog Series. Will post the next part soon. That was short and sweet so the next part is hopefully a continuation then. Will wait to read more of your interesting writing. Yes… the next would continue the story further. 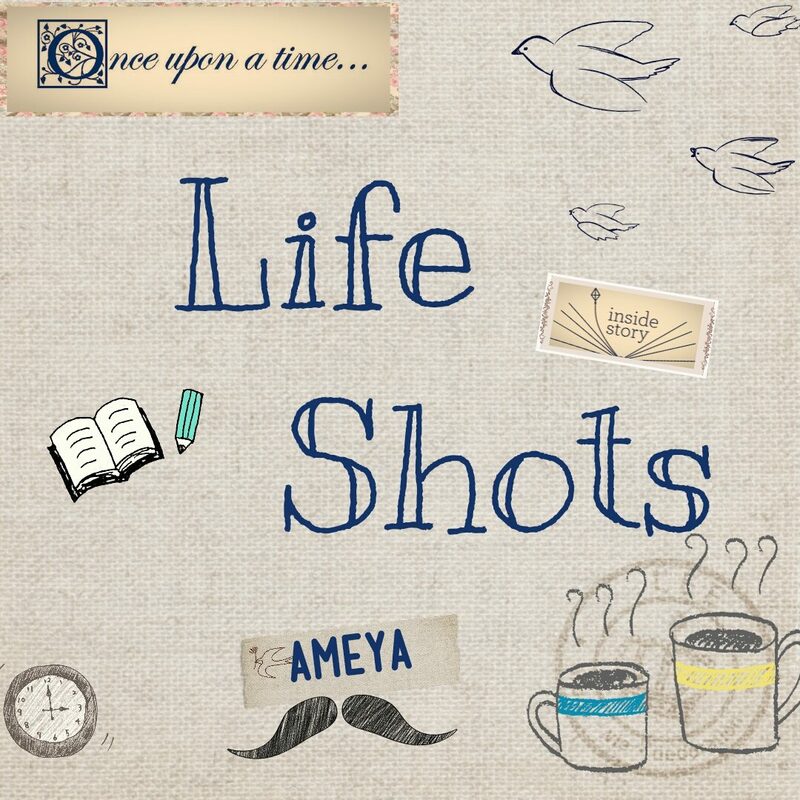 Dear Ameya, The start of the ‘Blog series’ is great, you have created the right suspense for the audience to think for next 15 hours. Keep it up !!! Thank You so much. It’s extremely satisfying to know that the wait and curiosity for second part has already begun. For me it starts with what usually happens to me …. last to board !!! Not yet experienced the later part though …. no wedding band !!! Ragerly awaiting Part 2 …. Hey! Part 1 ended on a mysterious note and like me there would be many wanting to see what is in Part 11. Go on let the story continues …………………. Amazing start….waiting for the next series…. Very nicely written Ameya. I am not an avid reader but whenever I read you I really feel connected. In this part I would specially mention “pointing out mistake” and “realising mistake” very critical traits of a personality. That made me refresh some of the old memories. Thanks for such a wonderful feedback. LIFE itself is a wonderful story teller. I just try to connect those emotions from our every day life through my stories. And that effort seems fulfilling when I get such amazing words of encouragement and support from readers like you. Nice post. I truly enjoyed every bit. I can’t wait to read the next part. Amay, please post it soon…. Will be posting the second part soon. You are getting better,son! Enjoyed reading the First part of the story….eagerly waiting for the 2nd. Thank You so much for your warm wishes! Second part has been uploaded. Hope you enjoy reading that as well. Previous Post Imli – A sweet & sour love story.